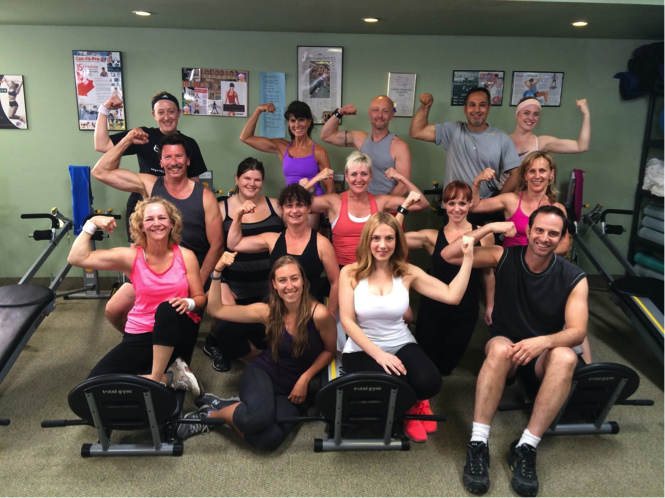 Three weeks ago we showcased 14 people with 14 different fitness goals as they began 14 workouts on The Total Gym lead by fitness trainer Rosalie Brown. During this time, our participants shared with you their goals, reactions on workouts and the progress they were making. Now the time has come to learn the final results in Episode 6 of The Total Gym Challenge, exclusively on Total Gym Pulse! 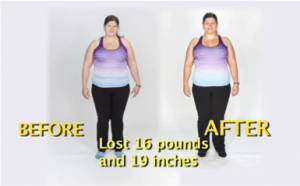 Vicky starts us off by saying she did even better than expected losing seven pounds and 10 inches over her entire body. Her goal in the beginning was to feel comfortable wearing a bikini and with the help of The Total Gym Challenge she has reached her goal. Vicky looks absolutely amazing! Bud said the results were astounding. He feels better and is now able to enjoy life more outside of his business now that he has incorporated a fitness regimen into his daily routine. Karen lost 14 pounds and 13 inches around the body. In addition, she has also lost 5.6 % body fat. Karen says it’s “insane” how well The Total Gym Challenge worked! Janet says the results were fantastic as she lost 10 pounds and feels better than ever. She wanted to get into the best shape of her life going into the challenge and it looks like she is well on her way! Jamie starts off by saying she definitely has muscles in her arms you can now see that you couldn’t see before the challenge. 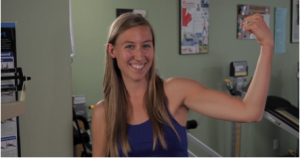 She showed off her muscles with a big smile across her face! Stuart was skeptical going into the challenge, however the results blew away his expectations. His goal was to lose 10 pounds in three weeks. Not only did Stuart reach his goal but he shattered it by losing 18.5 pounds! Doug says although working out on The Total Gym took effort, it was fun and easy to do. 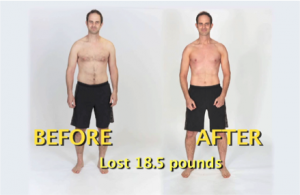 After three weeks Doug has lost 15 pounds of his post smoking weight and tightened in the places he where he wanted to develop his body. Taya is extremely happy with her results. She knew she would definitely improve over 14 workouts but the difference she feels now is absolutely incredible. She has exceeded her expectations. Taya set out to be thinner, leaner and stronger and now she is – thanks to The Total Gym Challenge! Bruce said he started seeing significant results after only one week. Now after 3 weeks he feels amazing, saying he’s thinned out, gained muscle and looks younger. He won a long drive golf challenge after only one week. People at his work are even asking him what is his secret? When Kirsten started the program she wanted to lose at least 10 pounds. She is a brand new mother and was motivated to lose some of her post pregnancy weight. Well Kirsten exceeded her goal by losing 16 pounds and 19 inches! She was a little intimidated at first because she weighed more weight than the other participants but she loved the fact she could do the workouts at her own pace. This gave her the confidence to continue her workouts and vow to continue her workouts into the future. The great results kept coming as Amanda told us she lost 16 pounds, 6 percent body fat and lost 16 inches over her entire body! The Total Gym Challenge has been a life changing experience for Amanda as she has completely altered her lifestyle from working out to eating healthier. She looks better, feels better and has gained self confidence. Jacky said after one week she already started seeing small improvements. After two weeks she saw a huge improvement. Finally after the third week she has seen a complete transformation! Trainer Rosalie Brown said she wasn’t surprised at the results from the 14 participants after the challenge. She has worked with The Total Gym for a long time and knows the enormous benefit on one’s health it has when properly utilized. She says it was extremely gratifying to see the look on the participant’s faces after only one week when they started seeing results. This is due to the versatility of The Total Gym. The combination of cardio, strength training and the fact there is no waiting in between exercises means you’re constantly moving and burning more calories. We also want to note that our participants followed a specific nutrition plan during this three week period in addition to their workouts. Both the nutritional plan and the workout the participants did on The Total Gym will be available on our website Total Gym Direct soon so YOU too can take The Total Gym Challenge! Thank you for following us on this fitness journey! We would also like to thank Rosalie Brown and the 14 participants who stepped up to take their health and fitness to the next level, hopefully they will be an inspiration for many more to do the same. Be sure to continue to visit Total Gym Pulse for the latest and greatest in health and fitness. Have a great rest of the week and see you next time! Be Sure To Follow Us On Social Media For More Updates! amazing results. how long did the workouts take on average? Is there somewhere that shows the routine used in this challenge? I would love to do this program at home with my total gym. I too am wondering what the routine was that they followed. Is it on one of the DVD’s or was it something that can be put into a form an downloaded. Veronica, look at the Total Gym Challenge as an iterative (cycled) workout. You can restart it at any time, once finished! We originally created the Challenge to appeal more to people who are looking for a quick weight loss for a wedding appearance, summer vacation, etc. However, it isn’t only limited it to that one time at all! Hi, what was the food/nutrition plan followed by the participants and are there vegetarian options in the food/nutrition guide. Thanks :).